Mr. Hyper was a character first introduced back in Pokemon Sun & Pokemon Moon, the same who had the power to artificially boost the Individual Values of a Pokemon's Stat. Mr. Hyper makes a return in this game as well - having the exact same power as before - being found in the Pokemon Day Care on Route 5. However, in order for Mr. Hyper to boost the IVs of your Pokemon's Stats, you must first defeat the Elite Four. 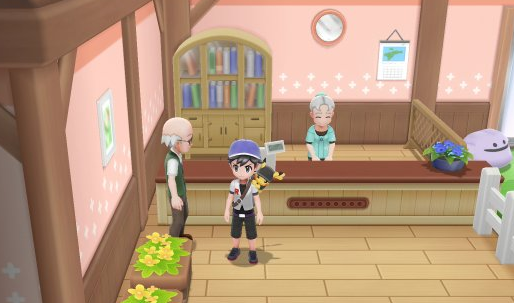 Furthermore, the Pokemon you are looking to train must be capped out at Level 100 and you must have a Bottle Cap Item to give Mr. Hyper in exchange for this service.